I had a great experience with All Seasons Driving lessons! My driving instructor Mr. Chris was very honest, accurate, and serious with my lessons! I will be recommending this company to others! Thank you so much! 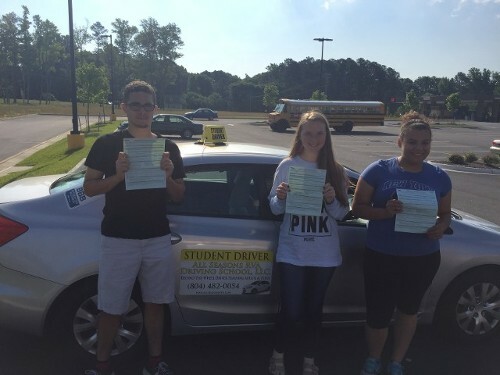 Driving with All Seasons RVA driving school was efficient and very Valuable experience. Thanks! Chris is a great teacher. I felt very comfortable from the beginning. Very professional and understanding of all my concerns. He built my confidence in my ability and helped me perfect the technique of driving. He even took me to my road test and it was amazing, it was almost like my big brother came with me to take the test. Kylie says - "Class was very relaxing, no pressure, easy to learn." Brook says - "It changed my life." Byron says - "An eye opening experience that works for my schedule." Chris was a great instructor and they all agree that All Seasons RVA driving school is a MUST!! !